If you’re looking for a job in Hong Kong or are planning on working in Hong Kong, you probably have a bucket of questions about how to find work in the city. Below are the top questions asked by expats who are looking for a job in Hong Kong. What Jobs Are Open to Expats in Hong Kong? Unless you speak Cantonese fluently, you’ll find there are only a limited number of professions and jobs open to English speaking expats. The major areas include banking and finance, teaching, media, and hospitality. These all require varying levels of qualifications and experience, and in some areas, expats are slowly being replaced with bilingual locals. How Do I find a Job in Hong Kong? Although Hong Kong has a reputation as an expat playground, it has never been harder to find a job here. Competition from mainland immigrants is fierce, and work visa rules are tighter than ever before. Most of the expats working in Hong Kong have been transferred here by their home company in the UK, US or Australia. Finding work for the lone expat is much more difficult, primarily because they don't speak Cantonese. There are however a number of online and print databases and resources that are dedicated to English-speaking expats looking for work. How Do I Get a Hong Kong Work Visa? Obtaining a Hong Kong Work Visa is more difficult than ever, with the Immigration Service increasingly stringent in assessing applications. The criteria for qualifying for a Hong Kong Work Visa are somewhat opaque, but the first thing you need to do is secure a job offer. You then need to satisfy a number of criteria to be granted a work visa, the most important of which is your educational background and the qualities you offer over a local employee. Usually, if a company offers to sponsor you for a position, they will be very confident of getting you a work visa. No, not quite. That said, Hong Kong is annually voted as the world’s freest economy, and the city is free from sales tax, capital gains tax and VAT. Income tax is also very low. The highest rate is set at 20% for those earning HK$105,000 and more. Read more about how taxes in Hong Kong work. What Is Life Like in Hong Kong? In a word, frantic. New York and London might claim to be twenty-four hours, but you haven’t seen a city tick around the clock until you’ve seen Hong Kong. Shops and markets regularly stay open until 11 pm, with restaurants opening until the early hours of the morning. Working hours are long and stressful, with a five and a half day workweek that includes Saturday morning. The official working day runs from 9 am to 6 pm, but in reality, most office workers stay until 8 pm or later. Apartments are pricey and small. In return for the above, you’ll be living in one of the world’s most exciting cities. There are outstanding food, amazing sights, and all-night parties. 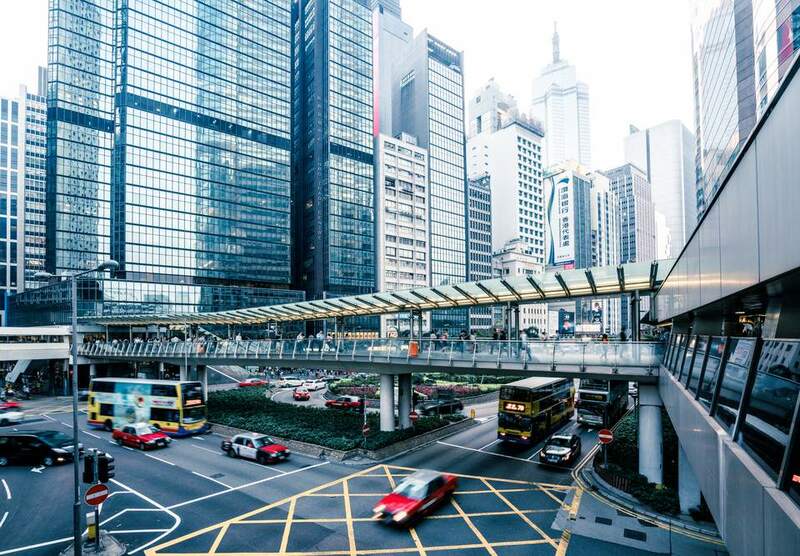 The city is undoubtedly stressful, but if you enjoy the buzz of being in a city full of energy where decisions make a world impact, you’ll love Hong Kong. This is also a great place to put a bulge in your bank account. What About Finding an Apartment in Hong Kong? They’re easy to find but less easy to pay for. Landlords are notoriously demanding in Hong Kong, and rental prices are some of the highest in the world. You’ll generally be expected to part with two months rent as a security deposit and to hand over at least half a months rent to the agent who finds your flat. You should also be prepared for high rise, small space living. While looking for an apartment, many expats plump for a serviced apartment rather than a hotel. These offer favorable rates for long-term stays of two weeks or more. Serviced apartments also offer more of a homely feel than a hotel.